The war for talent is raging—do you have a strategy to win? What if I told you that the balance of power has shifted to the candidate’s side of the interview table? Rather than posting a job, waiting for resumes to pour in, and taking your pick of desirable candidates, you now have to focus your efforts on attracting the right kind of talent—and then hope that the right person likes your organization enough to come on board. That’s particularly true in areas like IT, healthcare, engineering, mathematics, and other highly competitive fields. People with the right qualifications aren’t easy to find, and your business has to compete with hundreds—maybe thousands—of others for the handful of available candidates. You may have heard the buzz about content marketing. In today’s marketing landscape, you have to earn people’s trust before they give you their business, and you do that through quality, authoritative content. Guess what? The same concept is crossing over into the recruiting arena. It’s called recruitment marketing and it has the power to attract quality people to your business like a magnet. What Is Recruitment Marketing and Why Should You Care? Recruitment marketing, at its core, is simply marketing your business to candidates. It means positioning your company as a great place to work so that all those desirable top quality candidates—the ones who have the power to increase your bottom line and propel your business to the front of the pack—will choose you over your competitors. Why should you care? Because without it, your job posting is just one tiny voice among thousands clamoring for attention. Recruitment marketing hands you a megaphone so your message can be heard. And it convinces candidates that working for you is the best choice they can make. Content Development—Content marketing starts with developing powerful, strategic content that speaks to the right audience with the right message and presents the right offer. It can include blog posts, articles, white papers, infographics, video, case studies, newsletters, email campaigns—the list goes on and on. Recruitment marketing takes these concepts and applies them to the candidate attraction process with the goal of developing a strong employer brand that speaks directly to the kind of people you want to hire. Analytics—Data underwrites almost every decision we make in business these days, and recruiting is no exception. Before you can successfully reach the best candidates, you have to know which ones you’re trying to reach. Analytics helps you determine the characteristics of your top candidates and discover how, when, and where to distribute content so that it reaches them. Content Distribution—Text, email, social media, phone call, blog—what’s the best way to reach your most desirable candidates? The answer is all of the above—at different times. Just as with traditional marketing, your desirable candidates are all at different points along the prospect funnel (which we’ll rename the candidate funnel). You have to know which message to communicate to which candidates at what time in order to achieve the desired result. Candidate Nurturing—Once you have established contact with your candidate audience, you still can’t sit back and wait for resumes to pour in. You have to nurture the best candidates so they’ll choose you. That means maintaining contact through email, phone calls, and social media networks. This is especially important for passive candidates—those who are open to a job change but not actively looking. Technology—The good news is that you don’t have to track all of this information in a spreadsheet like you did in the bad ol’ days of consumer marketing. New technology applications like Yello, Smashfly, and Talemetry address the specific challenges of recruitment marketing, helping you attract, engage, and nurture the right candidates. If you feel overwhelmed at the prospect of adding yet another project to your to-do list, maybe it’s time to talk to a PEO. The sheer volume of work faced by the average small business owner is enough to send you scurrying back out of the future and into “this is how I’ve always done it.” PEOs are there to give you the support you need to take your next step, whether it’s recruitment marketing, compliance, workman's comp, payroll management, or any other administrative task that needs to be shifted off your plate. The new year is just a few short weeks away. 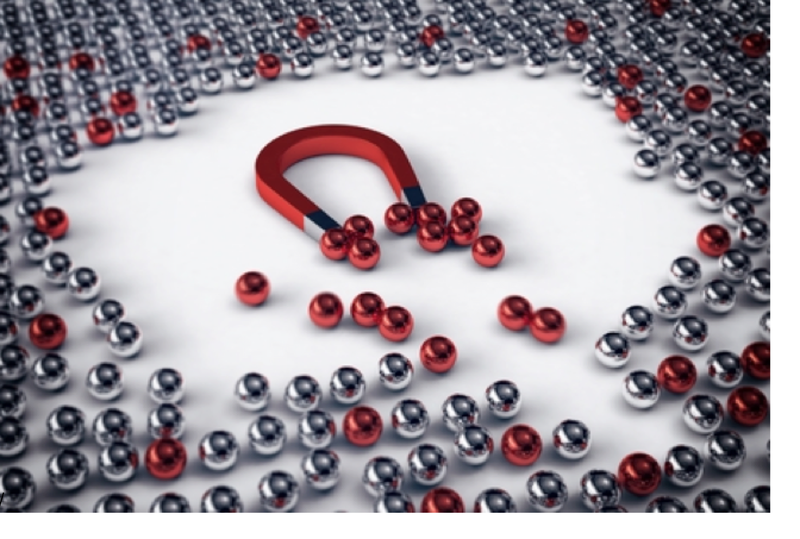 What will you do this year to create a magnetic recruiting strategy? Ready to partner with a PEO? Check out our PEO matching tool to find the right match! About the Author: Susan McClure is our resident content marketer at PEOCompare.com. She writes about HR outsourcing, HRIS, and general employment issues. When she isn't writing, you might find her browsing shelves at the library, exploring a local hiking trail, or digging in the garden with her family and fur kids. At PEOcompare.com we strive to streamline the PEO selection process so that you, the small business owner, can escape the boredom of HR as quickly and painlessly as possible.